This whole scene just makes me happy. I think it's because the bookcase is a fun color and matches that whimsical chandelier, the books look as though a human actually reads them, and the stairs are just plain gorgeous. And of course, there's a ladder. 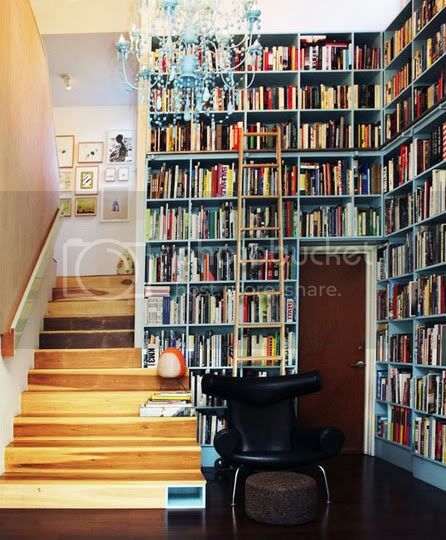 I dream of the day I will have ceilings tall enough to accommodate skyscraper bookcases and a library ladder.